For other uses, see Person (disambiguation). A person is a being that has certain capacities or attributes such as reason, morality, consciousness or self-consciousness, and being a part of a culturally established form of social relations such as kinship, ownership of property, or legal responsibility. The defining features of personhood and consequently what makes a person count as a person differ widely among cultures and contexts. 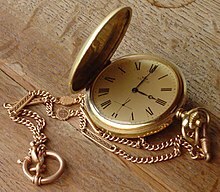 In addition to the question of personhood, of what makes a being count as a person to begin with, there are further questions about personal identity and self: both about what makes any particular person that particular person instead of another, and about what makes a person at one time the same person as they were or will be at another time despite any intervening changes. The common plural of "person", "people", is often used to refer to an entire nation or ethnic group (as in "a people"). The plural "persons" is often used in philosophical and legal writing. 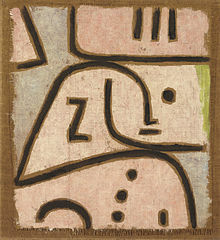 An abstract painting of a person by Paul Klee. The concept of a person can be very challenging to define. Personhood is the status of being a person. Defining personhood is a controversial topic in philosophy and law, and is closely tied to legal and political concepts of citizenship, equality, and liberty. According to common worldwide general legal practice, only a natural person or legal personality has rights, protections, privileges, responsibilities, and legal liability. Personhood continues to be a topic of international debate, and has been questioned during the abolition of slavery and the fight for women's rights, in debates about abortion, fetal rights, and in animal rights advocacy. Various debates have focused on questions about the personhood of different classes of entities. Historically, the personhood of animals, women, and slaves has been a catalyst of social upheaval. In most societies today, living adult humans are usually considered persons, but depending on the context, theory or definition, the category of "person" may be taken to include or not children or such non-human entities as animals, artificial intelligences, or extraterrestrial life, as well as legal entities such as corporations, sovereign states and other polities, or estates in probate. What does it take for individuals to persist from moment to moment – or in other words, for the same individual to exist at different moments? Proposed solutions to the problem of personal identity include continuity of the physical body, continuity of an immaterial mind or soul, continuity of consciousness or memory, the bundle theory of self, continuity of personality after the death of the physical body, and proposals that there are actually no persons or selves who persist over time at all. In ancient Rome, the word persona (Latin) or prosopon (πρόσωπον; Greek) originally referred to the masks worn by actors on stage. The various masks represented the various "personae" in the stage play. The concept of person was further developed during the Trinitarian and Christological debates of the 4th and 5th centuries in contrast to the word nature. During the theological debates, some philosophical tools (concepts) were needed so that the debates could be held on common basis to all theological schools. The purpose of the debate was to establish the relation, similarities and differences between the Λóγος/Verbum and God. The philosophical concept of person arose, taking the word "prosopon" (πρόσωπον) from the Greek theatre. Therefore, Christus (the Λóγος/Verbum) and God were defined as different "persons". This concept was applied later to the Holy Ghost, the angels and to all human beings. Since then, a number of important changes to the word's meaning and use have taken place, and attempts have been made to redefine the word with varying degrees of adoption and influence. ^ "Personhood - Anthropology - Oxford Bibliographies - obo". www.oxfordbibliographies.com. ^ De Craemer, Willy. “A Cross-Cultural Perspective on Personhood.” The Milbank Memorial Fund Quarterly. Health and Society, vol. 61, no. 1, 1983, pp. 19–34., www.jstor.org/stable/3349814. ^ Carrithers, Michael, Steven Collins, and Steven Lukes, eds. 1985. The category of the person: Anthropology, philosophy, history. Cambridge, UK: Cambridge Univ. Press. ^ For a discussion of non-human personhood, see Midgley, Mary. "Persons and non-persons", in Peter Singer (ed.) In Defense of Animals. Basil Blackwell, 1985, pp. 52-62. ^ For corporations, see "Justices, 5-4, Reject Corporate Spending Limit", The New York Times, January 21, 2010. ^ Geddes, Leonard (1911). "Person". Catholic Encyclopedia. 11. New York: Robert Appleton Company. Retrieved 2011-03-09. The Latin word persona was originally used to denote the mask worn by an actor. From this, it was applied to the role he assumed, and, finally, to any character on the stage of life, to any individual. ^ Thisleton NIGNTC commentary on 1 Corinthians "Thinkers in ancient times had a difficulty in expressing the notion of personality"; Barfield in History of English Words “Take, for instance, the word person...Its present meaning of an individual human being is largely due to the theologians who hit upon it when they were looking for some term that would enable them to assert the trinity of Godhead without admitting more than one 'substance'"; John Zizioulas in Being as Communion, 1985 New York:St Vladimirs Press p. 27 writes: "although the person and “personal identity” are widely discussed nowadays as a supreme ideal, nobody seems to recognize that historically as well as existentially the concept of the person is indissolubly bound up with theology." Lukes, Steven; Carrithers, Michael; Collins, Steven, eds. (1987). The Category of the Person: Anthropology, Philosophy, History. Cambridge: Cambridge University Press. ISBN 0-521-27757-4. Puccetti, Roland (1968). Persons: A Study of Possible Moral Agents in the Universe. London: Macmillan and Company. Stephens, William O. (2006). The Person: Readings in Human Nature. Upper Saddle River, NJ: Pearson. ISBN 978-0-13-184811-5. Korfmacher, Carsten (May 29, 2006). "Personal Identity". The Internet Encyclopedia of Philosophy. Retrieved 2011-03-09. Look up person in Wiktionary, the free dictionary.